We're delighted to announce Mayor Andy Burnham will be addressing pro-manchester members at a private dinner on 2nd April. In 2017, Andy Burnham began his mayoral post with a landslide win due to his pledges focusing on homelessness, carbon reduction and neighbourhood policing. 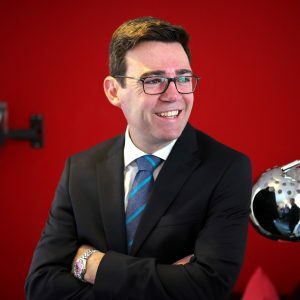 Mayor Andy Burnham will answer questions and explain how Greater Manchester's economy has evolved in the past year and offer his predictions for the year ahead. 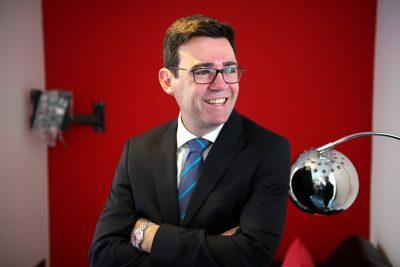 He will share his views on the Greater Manchester Strategy - a clear vision for the region to be one of the best places in the world to grow up, get on in life and grow old – and the Greater Manchester Plan for Homes, Jobs and the Environment. Guests will be encouraged to ask the Mayor any pressing questions during our Q&A hosted by pro-manchester's CEO Sam Booth. Set in the stunning Bridgewater Hall, guests will enjoy a drinks reception and three course dinner, with plenty of opportunity for networking with like-minded businesses. Please note this event is limited to pro-manchester members only and is expected to sell out very quickly.